New research has discovered that the average office worker will consume as many as 3,295 calories per day – between 795 and 1,295 more than the recommended daily amount – leading to an annual weight gain of 9lbs per year. Just 19 per cent of office workers won’t gain weight over the course of the year, due to leading a healthy lifestyle outside of work or being blessed with a high metabolism. 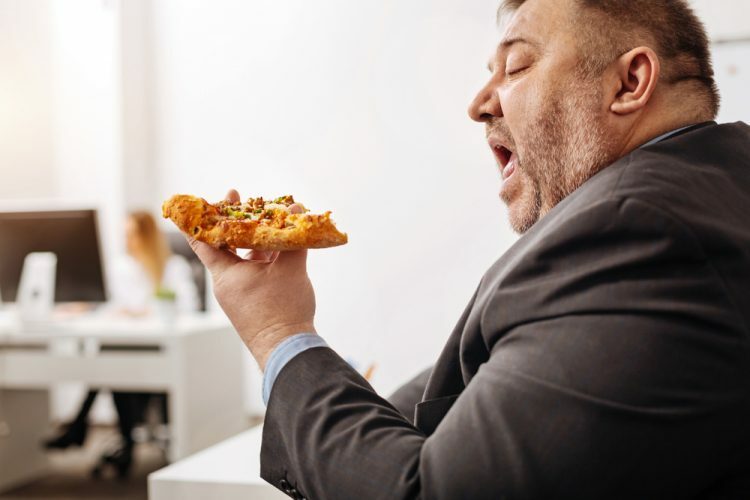 Office snacks, unhealthy breakfasts and team lunches are the biggest diet downfalls for British office workers, leading to exceeding their recommended daily calorie intake and gaining, on average, 9lbs a year. The research quizzed full time workers about their lifestyle and how working in an office affected their diet. Initially, all respondents were asked ‘What do you consider to be the highlights of working in an office?’ to which the top responses were cited as ‘the friendships I’ve made’, ‘the benefits, i.e. bonuses/commission, perks, insurance, etc.’ and ‘the flexibility’. All respondents were then asked ‘What do you consider to be the downsides to working in an office?’ to which ‘weight gain’ and ‘working long hours, outside of contract’ were revealed as the most common. With weight gain appearing as a common issue for office workers, all respondents were then asked how many calories they estimated that they ate per day. Once all estimations were submitted, the average was revealed to be 3,295 calories per day – between 795 and 1,295 more than the recommended daily allowance for British adults, depending on whether they’re male or female. Additionally, more than half of respondents confessed to prepping their food for work each day, but more often than not purchased additional food or unhealthy food throughout the day. According to the poll, when asked to estimate how much weight they gained per year whilst working in an office, the average weight gain was determined to be 9 pounds. Just 19 per cent stated that they didn’t gain weight annually, citing ‘I lead an active, healthy lifestyle outside of work’ and ‘I have a good metabolism’ for their lack of weight gain. Are you one of the UKs happiest workers?